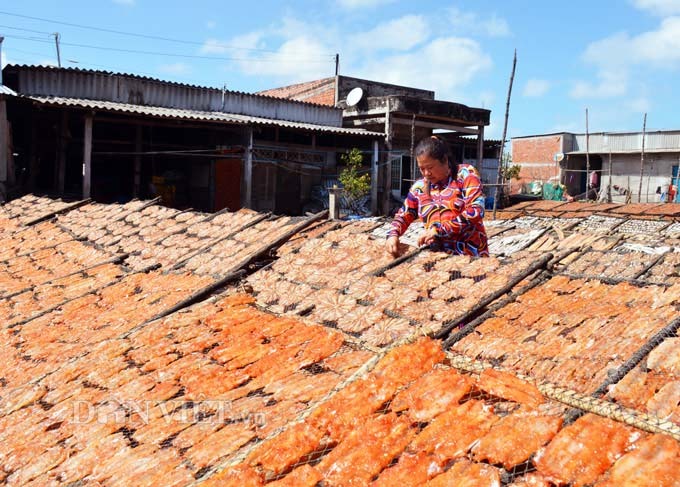 A seafood drying village in Ca Mau Province is busy preparing for the Tet Holiday. No one knows exactly when the Cai Doi Vam Village was established. 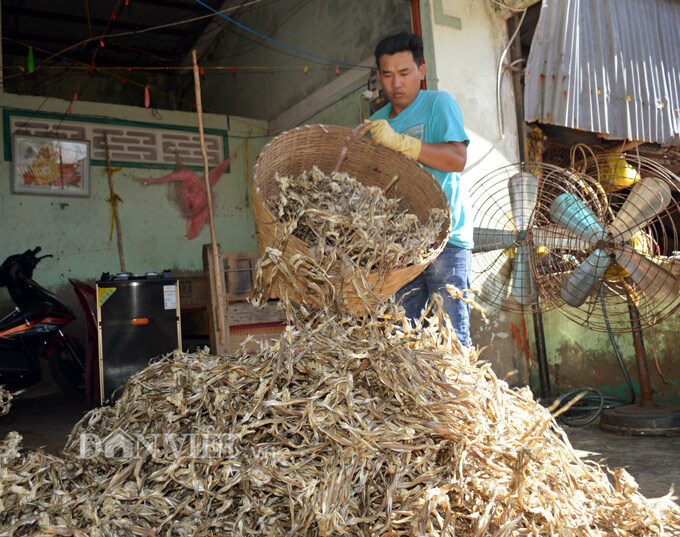 According to Nguyen Van Tung, a local in Cai Doi Vam Town, the business season for Tet only lasts up to one and a half months and output is double regular days. “I expect to sell 5-6 tonnes of fish and earn about VND40m (USD1,700) to VND50m this Tet,” he said. Another local, Nguyen Thi Lanh, said she had to hire seven temporary workers for VND150,000 (USD6.5) to VND300,000 a day a person to meet the demands. “When the fish is plentiful, I work from 2 am to 5 pm. It’s hard but the money is stable. I earn about VND150,000 to VND200,000 per day on regular days and VND300,000 to VND400,000 a day around Tet. 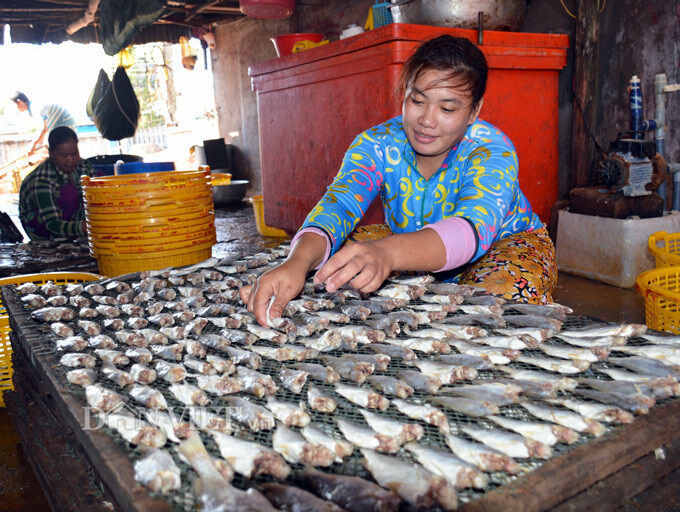 We receive a new batch of fish twice or three times a month and work for four days,” said Pham Thi Bieu. 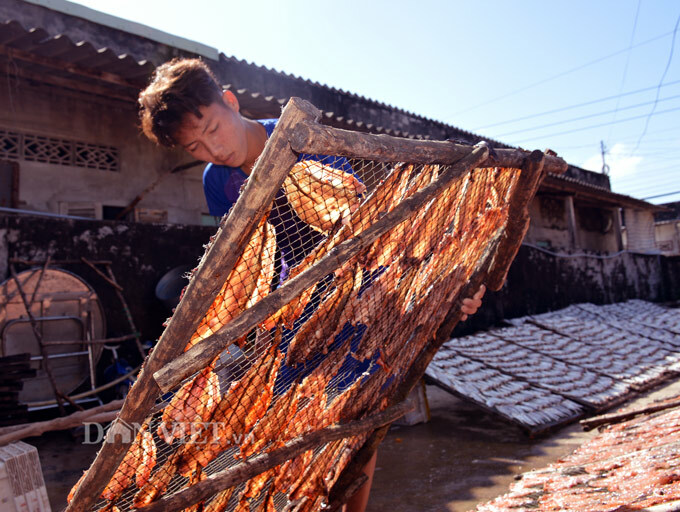 The fish must be cleaned, cured with salt for two days and dried for two days outdoor when it is sunny. 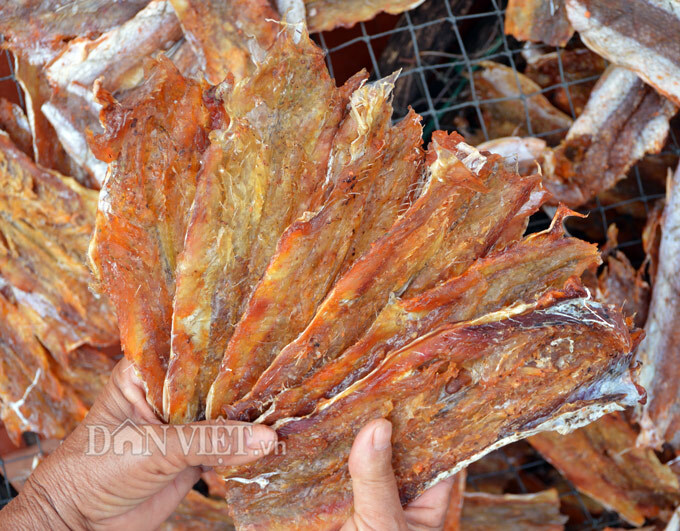 A kilo of fish is sold for VND50,000 (USD2) to VND100,000 depending on the types of fish.